Mike Is Releasing A Solo Album! But He Needs Your Help! MIKE’S GOT SOME BIG NEWS! This year he’ll be releasing a solo album due for a May/June release, BUT HE NEEDS YOUR HELP! The album is 70% finished, but due to costs for mastering and mixing he needs some financial support. So he’s teamed up with the people at PledgeMusic to help raise funds to get this made properly for you to enjoy and more importantly in your hands! If you like the last two Lamps albums, you should like this very much too! The pledge has currently made 92% of it’s target! Be sure to check out the store to see what goodies you could get for your pledge! You’ll get the album before anybody else and you’ll get updates to see what’s going on behind the scenes! Be sure to get involved! Have a top weekend all! And if you’re feeling nice, give it a SHARE! Thank You All! Merry Christmas! Don’t Worry, We’ll Be Back! This is going to read like one of those letters you get from another family member at Christmas, but bear with! Thanks so much to all the people who came out last night! To sell out the Tunbridge Wells Forum is a dream come true for a lot of musicians, so big ups to you lot! 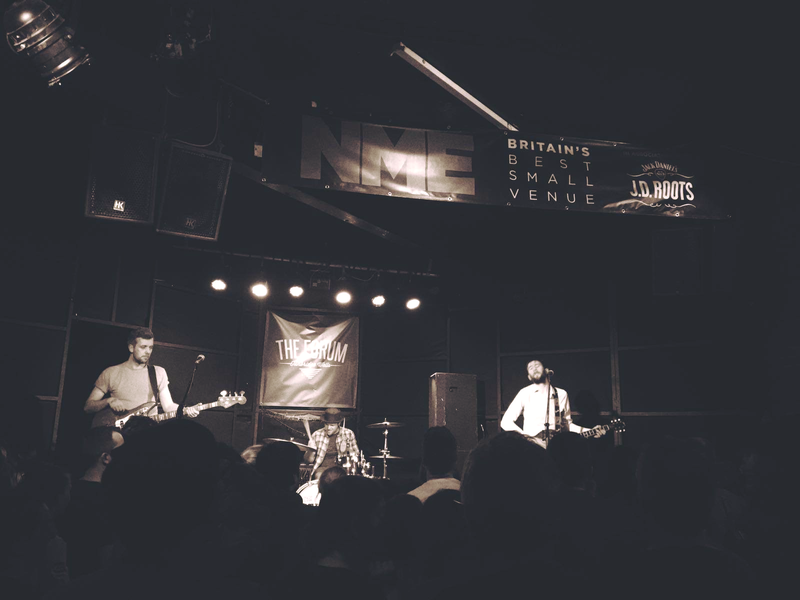 Suncharmer, Higgs and the Bosons and Paul Cheese were all tops and it was a great way to end the year! Thanks to The Forum for always putting on the Lamps Christmas show – we owe you a lot (and so do many others). As many of you may be aware, we’ll be taking a little break next year – but please FEAR NOT – we will be back again! Keep liking this page, and as soon as something starts to happen you’ll be the first to know. Mike is releasing a new album next year, so whilst The Lamps take a break and you want some more music, you can see what’s going down with him over at Mike Wilton Music. So now, it’s that time of year again when you look back at everything and we can certainly say that 2017 has been great for us. 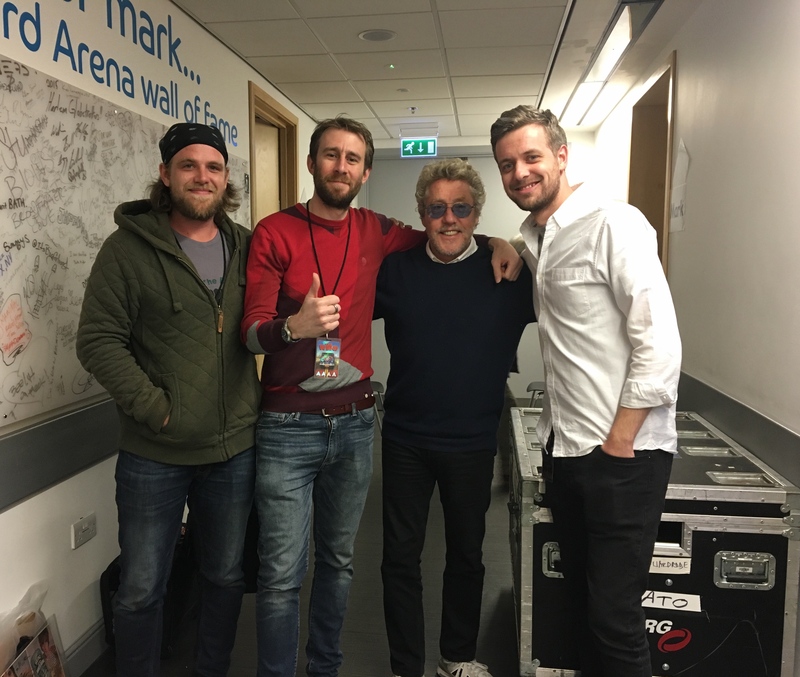 To be out supporting The Who again was just amazing and we’d like to thank them for giving us this unbelievable opportunity again. It was the biggest thrill and thanks to anyone on that tour who discovered us for the first time and digged it! Thanks to all that have come to any of the concerts near or far, shared our music, bought merchandise, sung their hearts out and been generally Lamps interested. We’d like to thank Lisa, our manager, who has provided us with some huge platforms over the years. Thanks to any promoters who have taken a chance and put us on stage. Thanks to all the people that have played in this band over the years in the early days (Bart Brummer, Jack Goldsmith, Matt Geary, Box). Most of all, thanks to you. If we’ve added a little sunshine to your lives, that’s our job done. We’ll meet again! Last Show For A Bit! Get Involved! There will be a bit of a silence at the start of next year from the Lamps (‘Silence Of The Lamps’ if you like). Mike will still be out playing and will be releasing a NEW album sometime (hopefully early) next year, but the Lamps will be taking a little break to enjoy some exciting stuff coming up in our lives. So, if you are a fan of The Lamps or have never seen us and thought ‘I must go to the next gig’, get down to this or you may have to wait a while for the next one to come along. 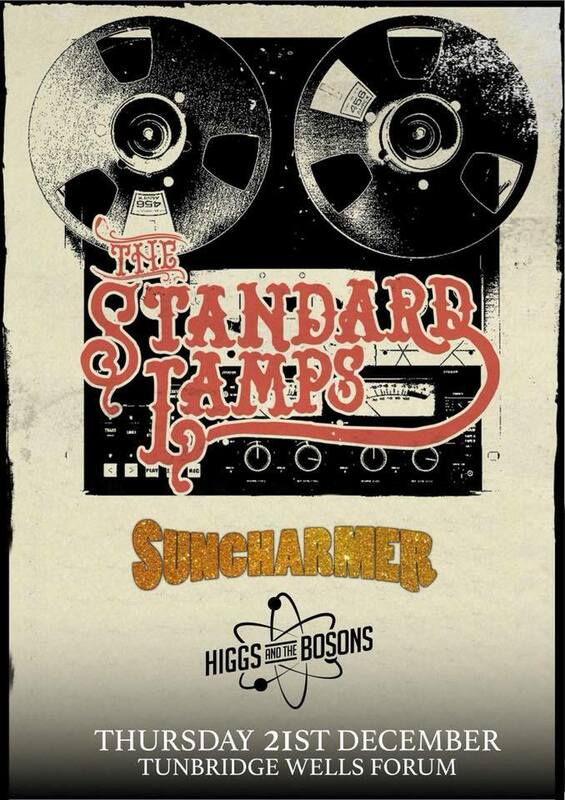 Suncharmer and Higgs and the Bosons are also on the bill! Til then, don’t miss out on this show! MANCHESTER, GLASGOW, SHREWSBURY, LEDBURY! We’re coming your way! Eh up you lovely lot! Lamps here, hope you’ve all had a top summer! Well we’re getting near the last quarter of the year, not overly sure where the time has gone! Just a quick one to say a big thanks to all the people that came to our shows in Sheffield, Brum and all the festivals we’ve done over the last few months. You’s tops and lovely to see your faces! We’re back out on the road (sort of) this month, so if you’re in Manchester, Glasgow, Shrewsbury or Ledbury – come out for another hour and 15 mins of loud raucous Rock N Roll type music. The shows are at the following places. Get yer tickets! In the meantime, here’s a top poster for the Shrewsbury show! In the words of Ringo, peace and love, peace and love. Eh you lot! Hope you’re enjoying the heat! Well after our tour supporting The Who, a lot of people are saying what’s next? For now, thanks for the support and keep on rockin’ and all that! Long Live The Who! Thank You! Well, what can we say.. quite a fair bit so we’ll try and keep it direct and straight to the point without sounding like some award ceremony. We’ve had the most amazing time on this tour. We never expected to get another call to support The Who, but boy are we glad we did. Everybody who plays in The Who and everybody who works for them are an amazing team and incredibly warm people. 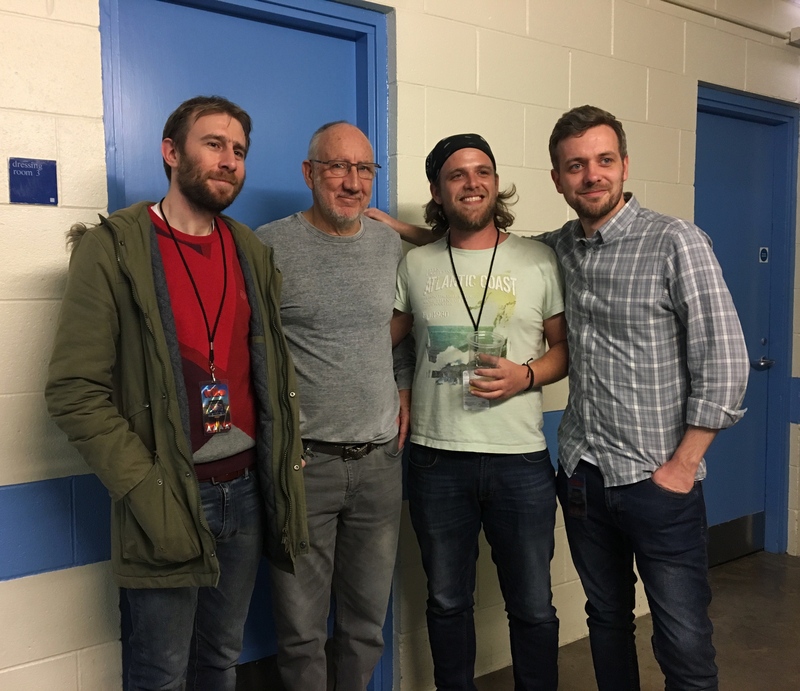 We were treated so well and really made welcome throughout the whole tour, and it was brilliant to catch up with the band members and the crew. 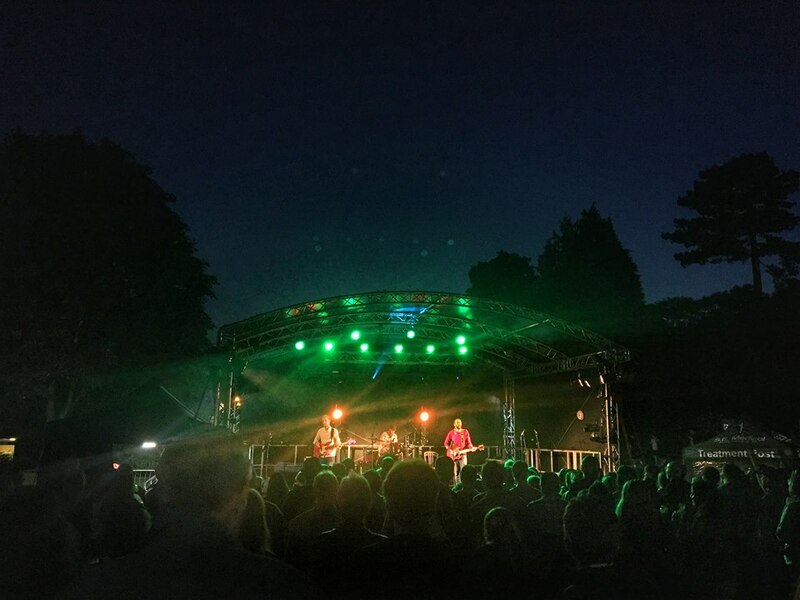 Big shout out to Dec, who did our monitors on each gig – you made us ultra comfortable up there matey and that makes a big difference. The Who were amazing! Roger is truly back and it’s just amazing that he can sing all those songs the way he does 50 years after he first recorded them. He looked liked he loved every second. Pete, I think we can say that the man is a true genius, and thank christ he’s out there showing everyone how to do it. An inspirational writer and performer – he’s just gives it everything. Long live The Who! We would like to thank our crew of long standing Lamp sound engineer Joe Turner on sound duties and Tom Hunt on road/guitar related duties. You both made the tour so easy, and we love you very much. Plus you made us look a bit more Rock N Roll. Lisa – our manager. This couldn’t of happened without you, thanks for picking us up and putting us on those stages! Elle – Thanks so much for dealing with social media posts when the time just isn’t there! Gem – thanks for your pics and vids! 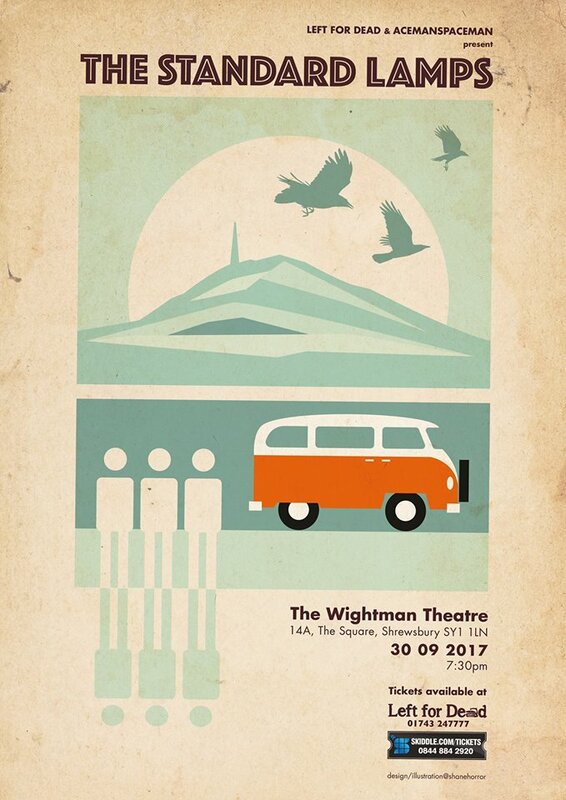 To all you lovely people who knew the band already and travelled to the gigs – you’re brilliant, thank you! We really appreciate it! To all the people who are new to the band and got in touch with us over this tour, we’re so glad you liked our music, tell your mates and we hope to see you again soon and some point! And now the money shots – Two of the greatest living musical Legends. We are honoured to support you! IMPORTANT ANNOUNCEMENT RE: THE WHO TOUR! 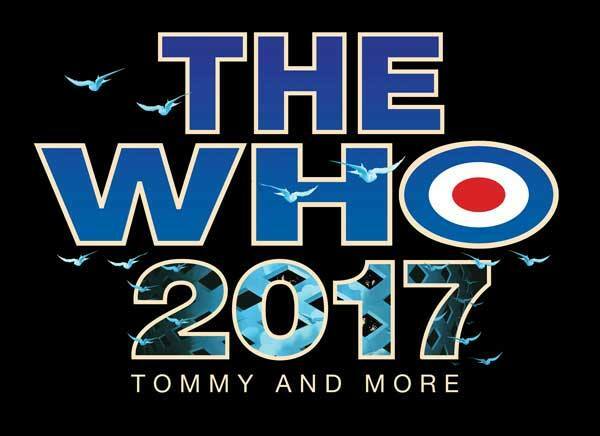 Some of you may have seen yesterday that The Who shows coming up in Aug/Sept (in which we are supporting) have been rescheduled for April 2017. A few people have got in touch to see if we are supporting them on these rescheduled shows, and we are delighted to tell you that we can confirm that we will still supporting them on these shows! Here’s the details of the rescheduled shows. Tickets for the shows originally scheduled for late August and September WILL BE VALID for the new shows. Any customers who cannot make the new dates are entitled to a full refund from their point of purchase. Deadline for refunds is 5pm AUGUST 12TH. Click this link: Sign me up please!